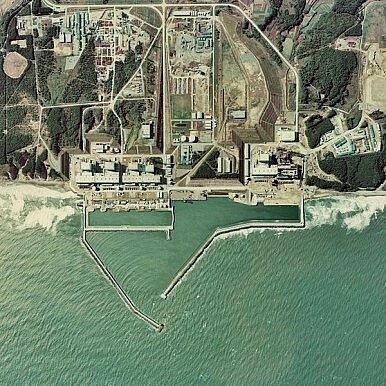 The Japanese government has raised the severity level of the nuclear crisis at its Fukushima nuclear plant to a level 7. The Diplomat asked nuclear researcher Alexander Sich for his take on the decision and what exactly it means. I believe they were premature to do this: most of the month since the accident we have been starved of hard numbers, and speculation has run rampant because of this. Now, everyone is focused not on data but on one, single, solitary number (7 on the INES) and the press is employing phrases like ‘on a par with Chernobyl,’ or ‘equal to that of Chernobyl.’ It's like defining the entirety of a person based on a single number, like their weight or their age. I think people can see the absurdity of that. My understanding is TEPCO has reported a number of 10,000 terabecquerels has been released over the course of the past month. First, how many people understand that one Bequerel is one disintegration per second? What kind of a response would people have if they were told this is equivalent to 0.027 nanoCuries of activity? They'd probably — and correctly — yawn. (1) The Japanese have called this latest assessment ‘provisional’ and further qualified that it focuses on the total released, not on health effects — which they maintain, correctly, I believe, is minimal. (2) 10,000 terabecquerels. How much is that? Well, that's 270,000 Curies. On par with Chernobyl? Really?! Let's see: Chernobyl, even if you accept the official Soviet total release estimate of 50 million Curies, that's 185 times less than Chernobyl. (Lennart Devell of Studsvik Eco in Sweden in 1994 confirmed what most experts in the West suspected: in a metastudy of release estimates, Devell came to a range of 1.5 to 2.5 times was released by Chernobyl than the Soviets reported.) What if I asserted I just ran an incredibly long road race of 42,000 tera nanometers? Would most people understand I ran a marathon? Would I be responsible in portraying a marathon in such a manner? Would you not conclude I'm trying to mislead and that I have a hyperfixation on numbers? (3) The releases at Chernobyl occurred over a period of about 9.5 days. The releases at Fukushima were estimated from 30 days of releases and from four reactors and Unit-4's spent fuel pool. The releases from Chernobyl were completely out of control. At Fukushima, the Japanese are employing a number of means to contain contaminated water and reduce the potential for hydrogen detonation. (4) The comparison is also spurious (and, in my estimation, irresponsible) because the two accidents are very different in their release mechanisms: at Chernobyl the releases resulted from the core being completely exposed to the environment during the entire period (remember I noted in my last interview that the helicopter dumping was a myth in the sense that the core itself wasn’t covered). This means that isotopes across the chemical and mechanical volatility range had a wide range of transport mechanisms for release — from gaseous escape to mechanical ejection. At Fukushima, we just don't know exactly to what extent the reactor pressure vessels, containment structures, and lower pressure suppression pools are damaged. I've read various assessments, and they are all preliminary. I stress: if so many barriers are between the core and the environment, the release pathways and mechanisms will be very different and severely limited, which is borne out by the numbers provided. At Fukushima, some chemically and mechanically volatile isotopes have been released: I-131, some Cs-137, some Xe-133, and the rest I'm not sure about. I'm still waiting for hard numbers on the alleged detection of Cs-137 about 40 kilometres northwest of the plant: do we know how much (in Curies), how widespread, and why it hasn't apparently been detected in other areas? I would also make very sure I would be carefully distinguishing between potential releases from the spent fuel pool and the reactors. I've seen some other numbers, but ones that only present a partial picture. According to a Reuters piece quoting the Japanese, perhaps about 500,000 terabecquerels of I-131 have been released ‘to the atmosphere.’ It also seems to me apples and oranges are being compared when the Japanese claim Chernobyl released such-and-such numbers: are these total releases being compared to one isotope at Fukushima? It's not clear from the reports I've seen. Release estimates also depend on interpretations of isotope half-lives in the calculations. Many of the isotopes produced in an operating nuclear reactor are very short-lived and decay quite quickly. Therefore, one can provide release figures that incorporate these, but if they're decayed away in a short period of time, were the releases of any significant consequence? Even I-131 (half-life 8 days) is down to 1/1024th of it's release amount after 80 days. I'm not suggesting there's no impact, but I am urging sobre and cautious assessments as well as prudent and correct presentations of releases. More than three half-lives of I-131 have passed since the accident, which means roughly 1/10 remains. Is it correct and prudent to provide total release figures based on total amount of I-131 present at the time of the accident? I don't think so. Now, let's ask: how much Pu-239 or U-235 was released? Because both of these are in the form of something called refractory oxides (ceramics), they melt at incredibly high temperatures (thousands of degrees), so they need mechanical transport mechanisms to escape, i.e., they don't escape as gases. How much was released? My guess? Very, very little…and certainly I could, if I followed the lead of the sensationalist headlines, express this in terabecquerels rather than Curies to make a bigger impact with ‘big’ numbers. The comparisons to Chernobyl are speculating on ignorance. I stand firm on this position. First, let's get all the verified numbers, structural assessments, and transport mechanisms understood, then let whoever wants to assign single numbers to a very complex situation do so. This is grist for the sensationalist mill, and I'm not sure it was prudent of the Japanese to announce this reassessment — qualifications of ‘provisional’ and limitations to releases rather than health effects notwithstanding. It seems it would have made more sense to wait until a correct assessment has been made of the structural damage to the main components of the reactor buildings, and to wait for a solid radiometric survey of releases. I expect Michio Kaku, Congressman Edward Markey, and other panic mongers will ride this to the maximum sensationalist extent possible. I would counsel the Japanese to reconsider raising the scale of the accident until more is known. Please don't misunderstand me: this is a major accident, but the repeated comparisons to Chernobyl are sensationalist and self-serving. Alexander Sich is an associate professor of physics at Franciscan University of Steubenville in Ohio. Sich was the first American researcher to investigate the Chernobyl reactor meltdown on site. The views expressed are his own.